Introducing the National Leather Collection. The National Leather Collection is a free for entry resource for people to visit and do things with leather. A space to learn all about how leather is made, used and much debated in modern society. A place to try your hand at designing and crafting beautiful items. A space for emerging designers in leather to grow their careers. A place to relax, shop and meet in the centre of Northampton. Leather is found everywhere (but mostly on your feet). It is a material produced from the hides and skins of animals. Its role in 21st century society is being increasingly debated. We exist to engage people with the past, present and future of this versatile material. Northampton's connection to the leather & footwear industry was established over 800 years ago and it is still a cultural ...centre for the material today. The University of Northampton is a world leader in the teaching of leather technologies. The quality and design of men's welted footwear from Northampton is unrivalled. Northampton museum and art gallery holds the nations' collection of footwear with over 12,000 shoes dating back over 3000 years. The National Leather Collection has grown out of a need to care for and give access to what is arguably the most diverse collection of leather items in the world. Founded as the Museum of Leather Craft in 1946 the collections' treasures are a window into the uses and versatility of leather for over 3 millenia. The collection comprises over 8000 unique objects of national importance - such as fragments of the Dead Sea Scrolls and pages of a 9th Century Qur'an. It also boasts one of the largest library and archive resource on the topic of leather, with over 3,000 books and 10,000 associated images. To find out more please contact us or check us out on Facebook,Twitter and Instagram We are supported by the Heritage Lottery Fund. 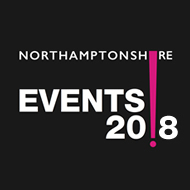 We can be found on Floor 2 of Grosvenor Chambers in the Grosvenor Shopping Centre, Northampton (near the Market Square Entrance) We are not quite open to the public yet - The NLC is coming soon Currently we are looking to grow a volunteer team and our community links so if you would like more information. Please call 01604 745681 - pop up and speak to us Mondays - Thursdays 10 - 4pm. We like visitors!